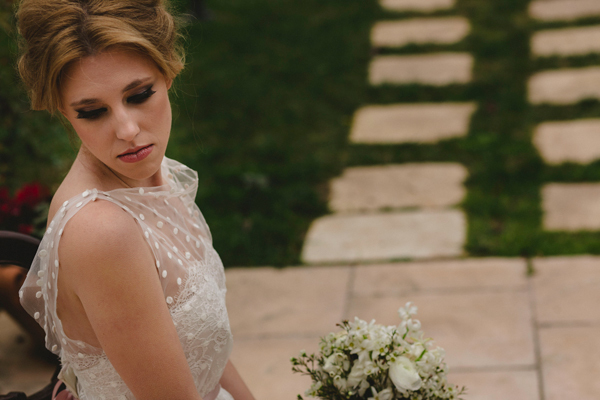 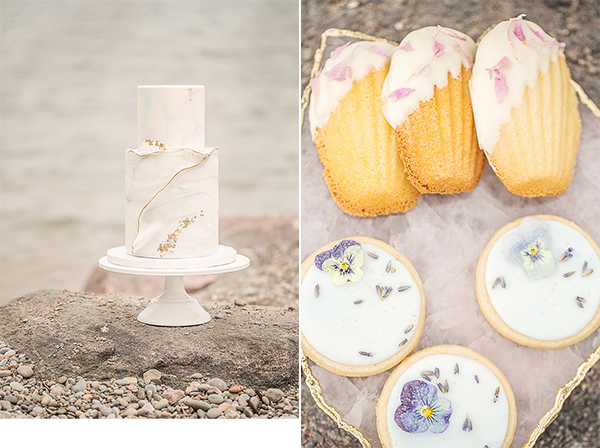 We are sharing today an organic bohemian inspiration shoot in Toronto! 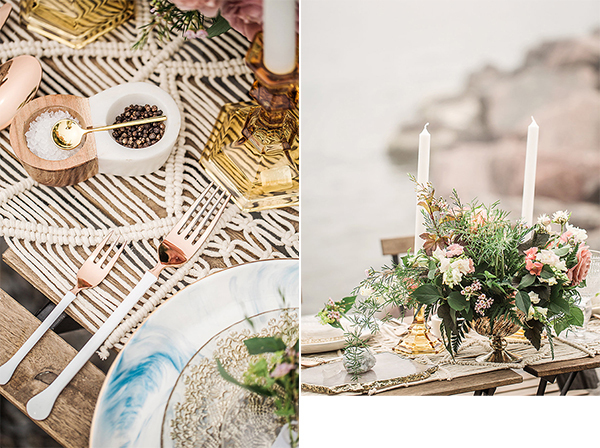 With earthy colors such as green, blue and beach and beautiful macramé details in the decoration, this style shoot will captivate you! 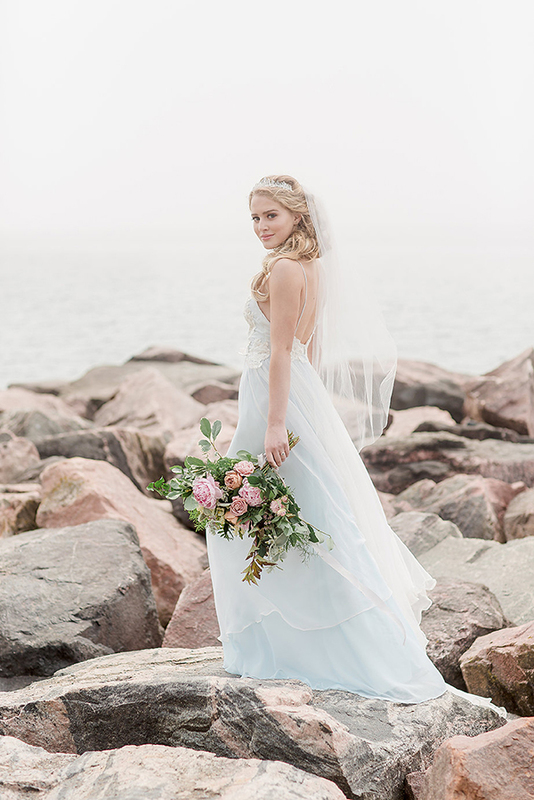 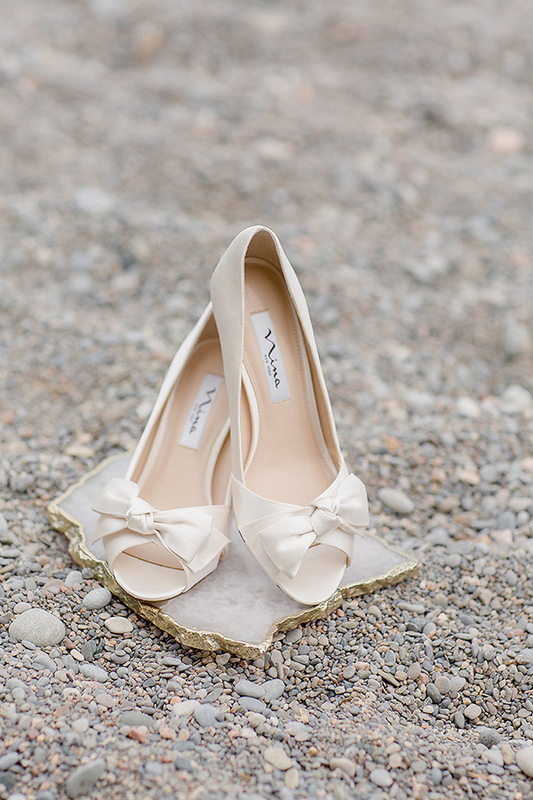 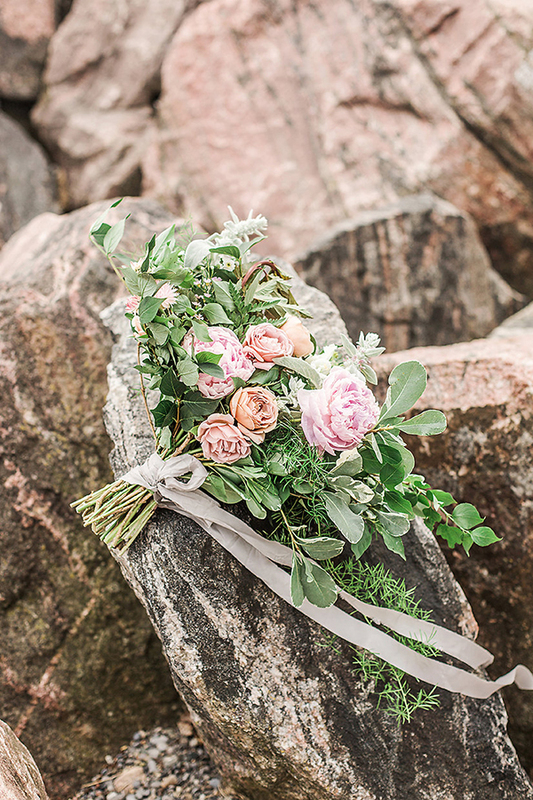 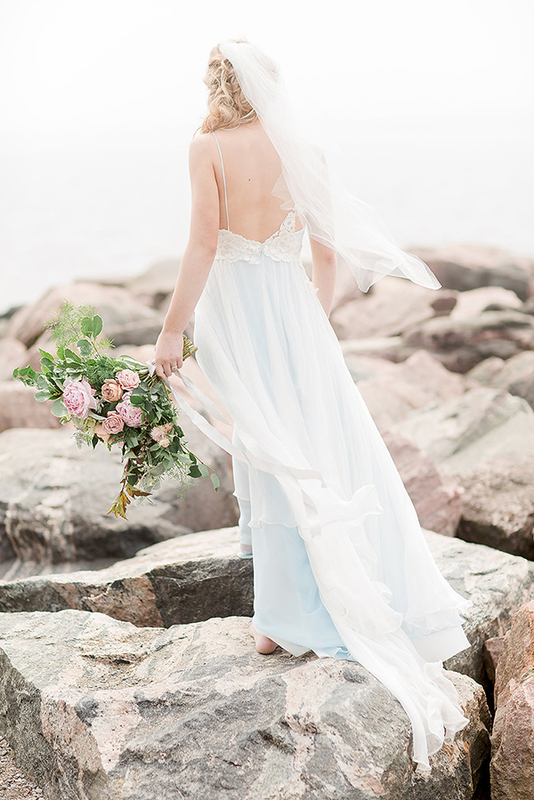 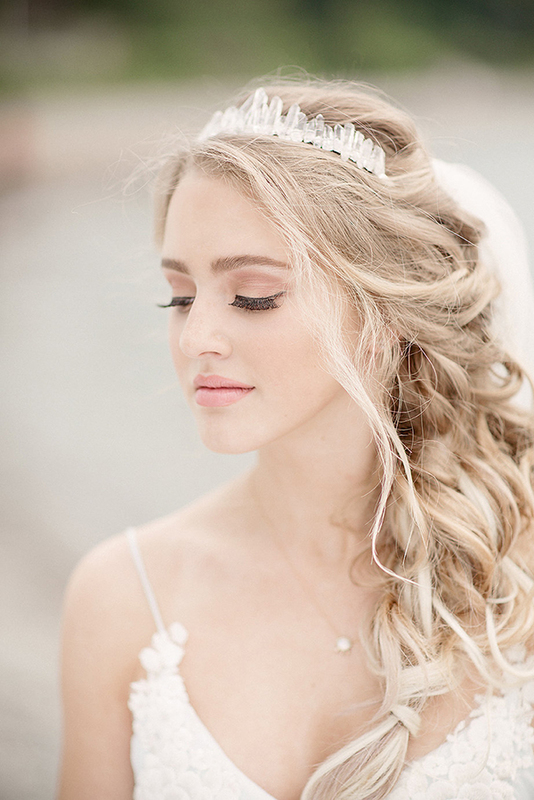 From photographer Farah Ghazal: “The wedding inspiration shoot took place at Woodbine beach, in Toronto. 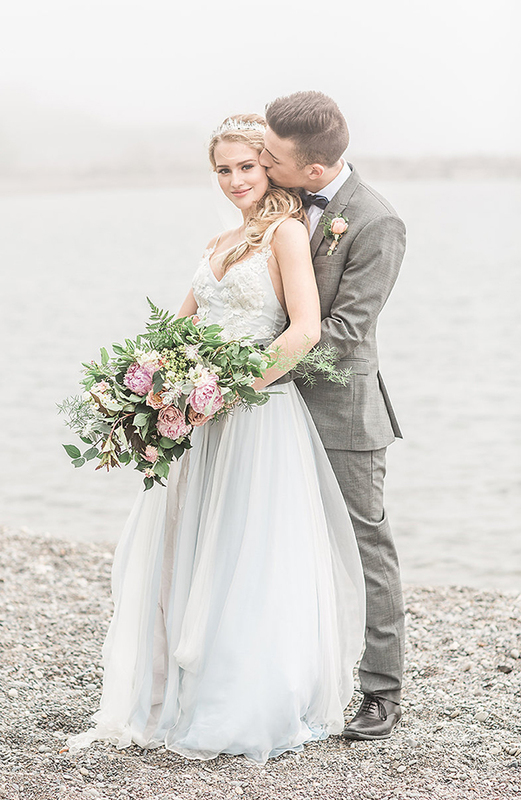 The groom decided to surprise his girlfriend; she was expecting a male model and she was amazed when she saw him, which gave the whole shoot more personality and reflected their love and excitement. 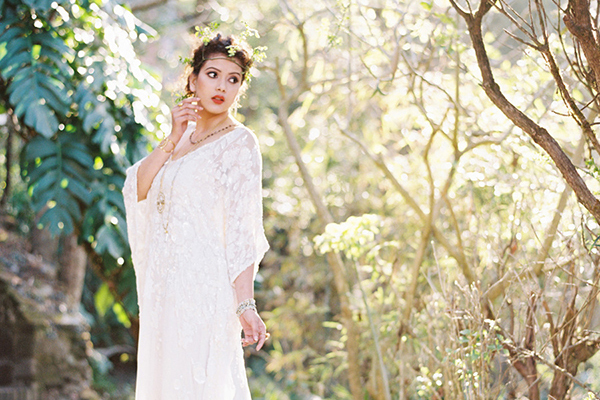 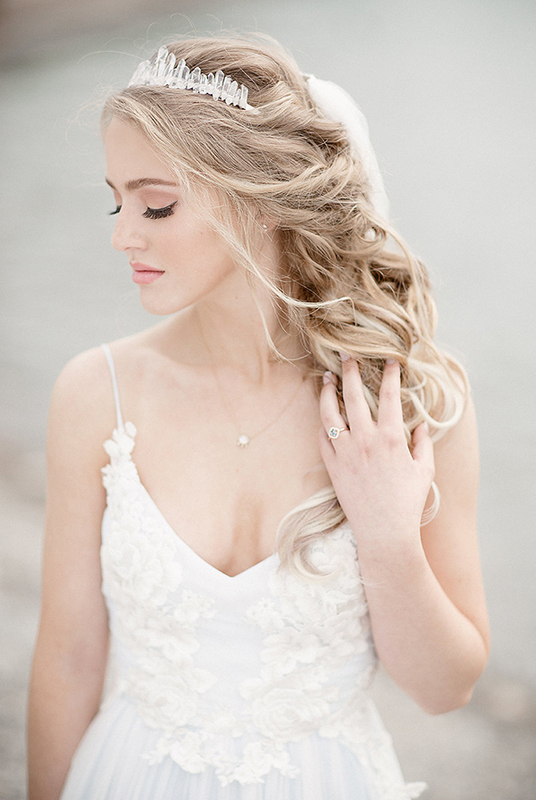 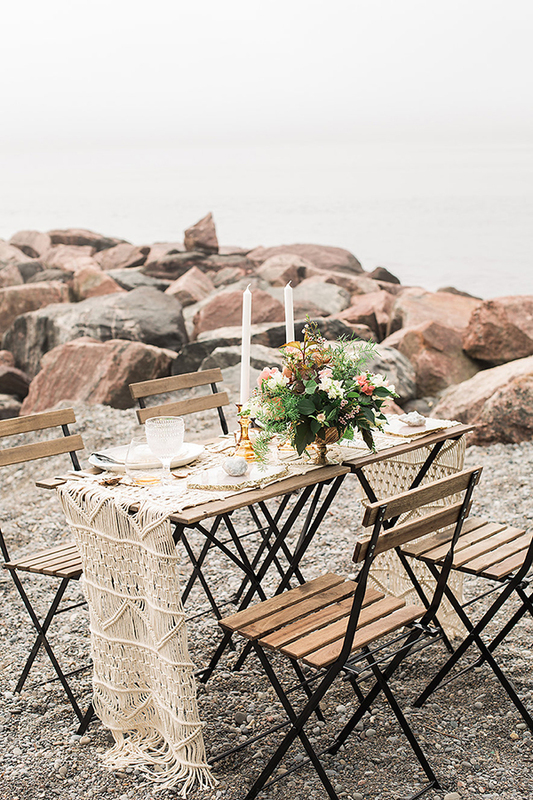 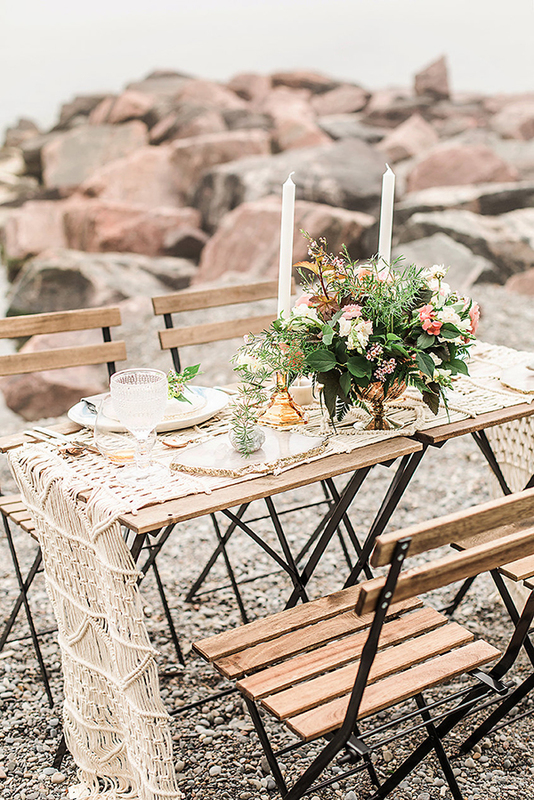 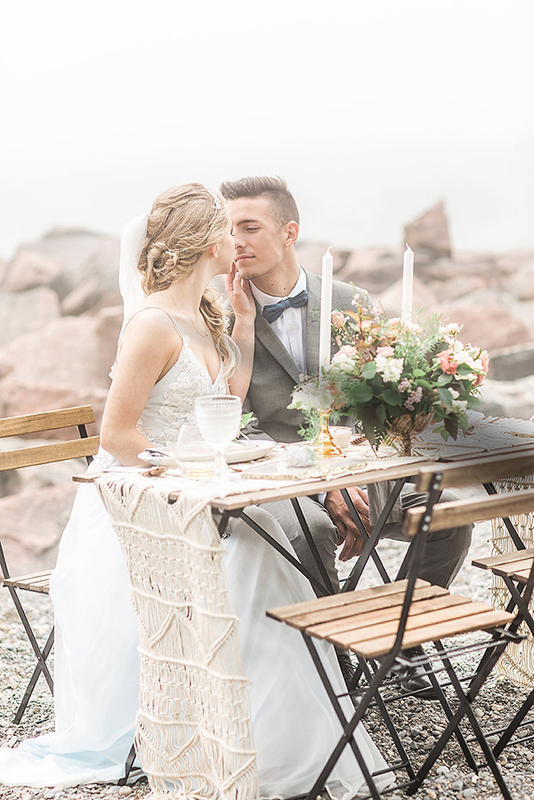 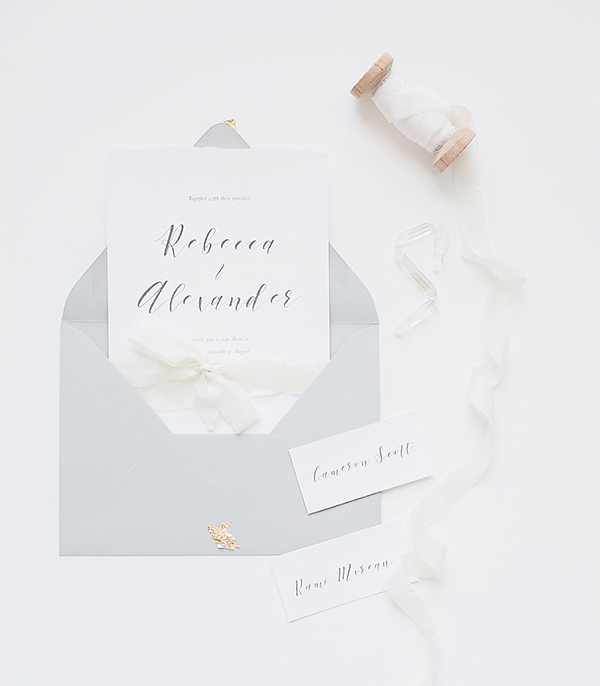 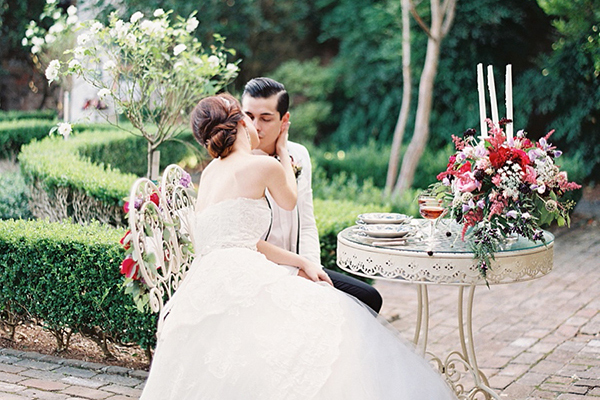 We choose an “organic bohemian beach” theme to reflect a dreamy and airy celebration. 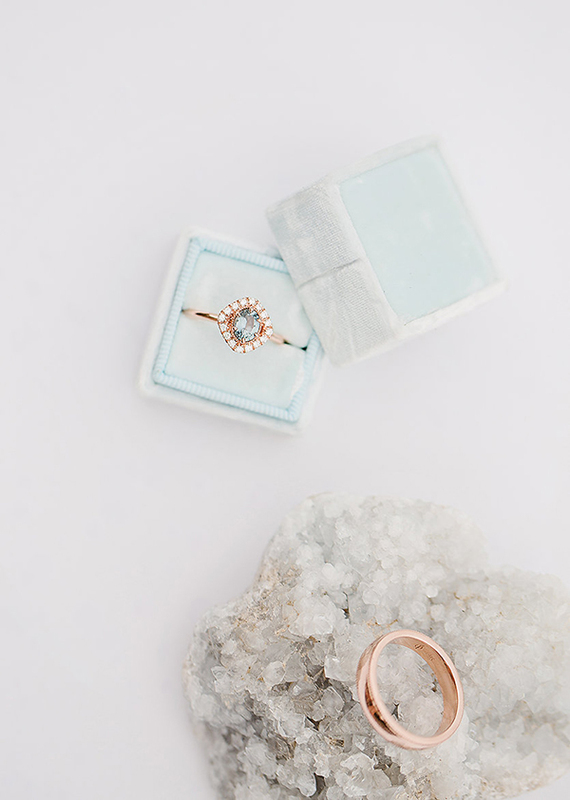 We were so lucky to be able to assemble such an amazing team with the same vision. 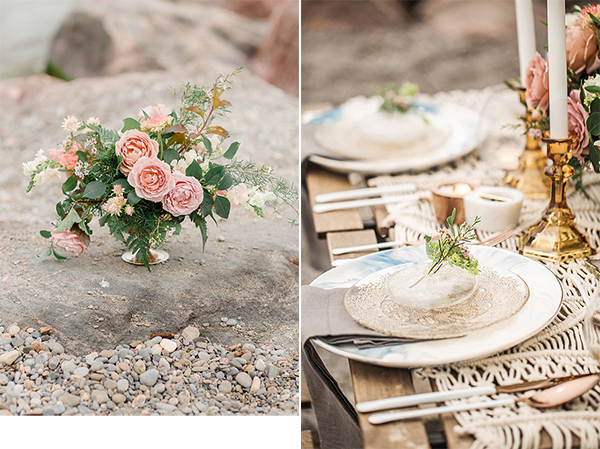 Our inspiration came from textures such as stone and our color scheme was inspired by water and sky colors combined with earth stone colors”.